Install Oil offer safe fill gas cylinders which can be safely refilled at autogas stations around UK and Europe. Safe fill gas cylinders are ideal for touring caravans and campervans, they are much lighter than standard cylinders, they are also cheaper than standard propane bottles because you can refill them yourself! The bottles use a standard 30-37mbar propane regulator. 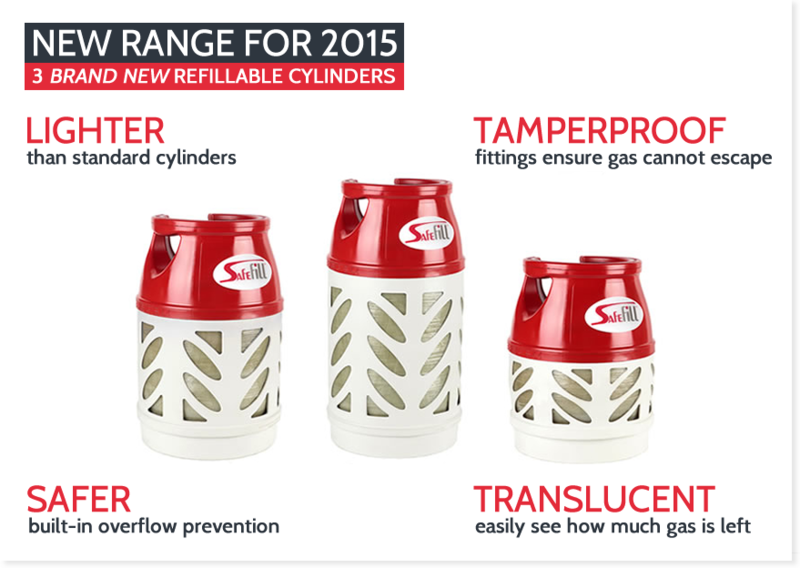 Free fill of propane with each purchase of a SafeFill gas cylinder. No complicated hoses or adapters to connect - fill gun fits directly onto the Safefill valve.